The 17th January is the day of Saint Antón Abad, usually associated with the protection of animals. 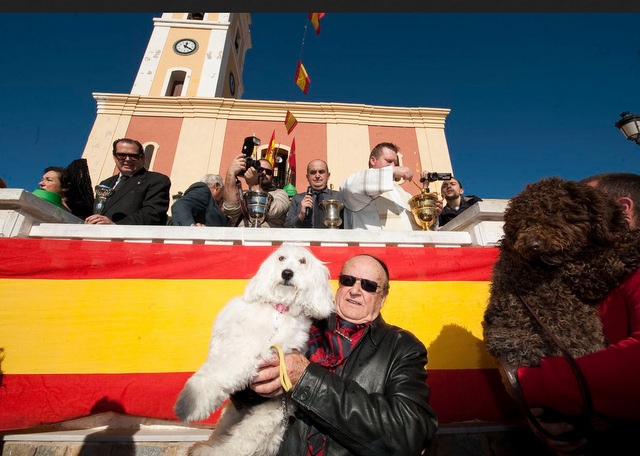 The key activity related to San Antón is a blessing of the animals, which usually takes place following mass. This is a popular, family activity in which participants bring along their pets, and in some areas, horses, donkeys, goats and chickens are present, along with the more conventional goldfish, canaries and puppies. 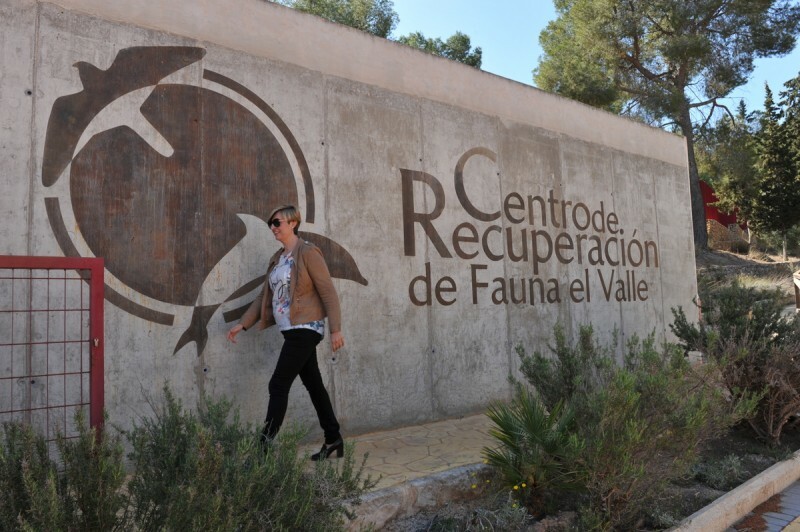 You'll find a blessing of the animals in virtually every town or village over the weekend nearest to San Antón. One of the best known blessings is that of the church of San Antón in Cartagena, where there is a large-scale blessing of the animals on the day of San Antón. This district of Cartagena celebrates San Antón with gusto, and there are many street bars set up around the church selling BBQ'd dishes, Octopus being the most popular. 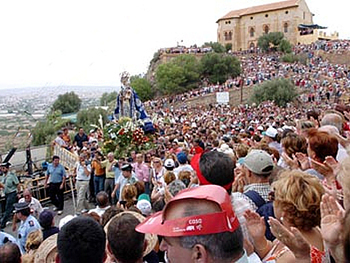 In churches which are dedicated to the saint, there is often a parade with the image of the saint following mass, and in some cases this is the focal point for wider celebrations, such as the Romería through the orchards of Murcia in Torreaguera. 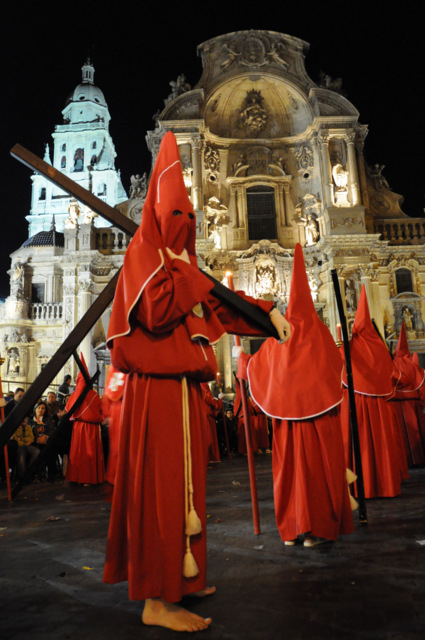 There are several areas throughout the region which have a church dedicated to San Antón, so you´ll find Fiestas taking place in these particular districts around this date. 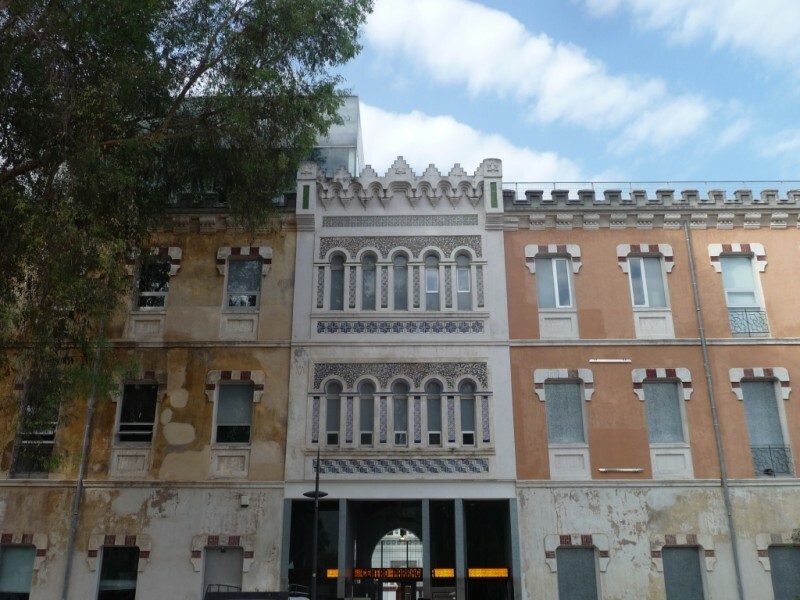 In both Murcia and Cartagena, there are districts dedicated to San Antón, as well as in Bullas, Águilas, Yecla, Mazarrón, Torre Pacheco, Caravaca de Cruz and Cehegín ( and others!). 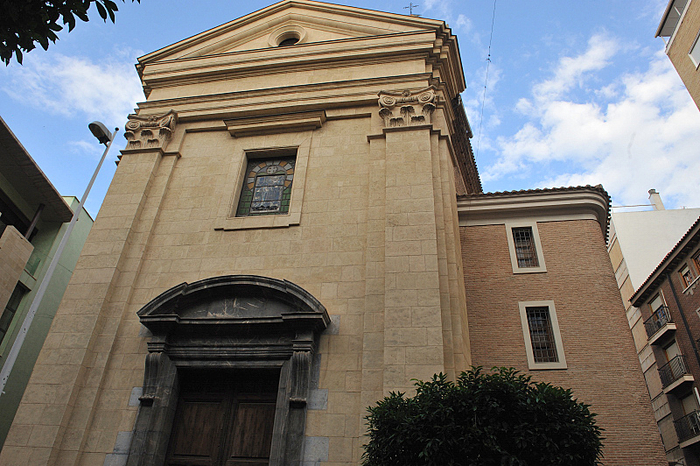 A general rule of thumb is that if you find a chapel or church dedicated to San Antón, then there will be something interesting happening around this date in January. San Antón was often referred to as the first Monk, as he shut himself away in the desert to pray and meditate, at one point being walled up inside his cell for 6 months, so that he could reflect in peace and isolation. A quantity of bread was made to sustain him during this time, a dry, flat bread, the consumption of which is commemorated by the tradition of making little rollos, or panecitos (panecillos) de San Antón. 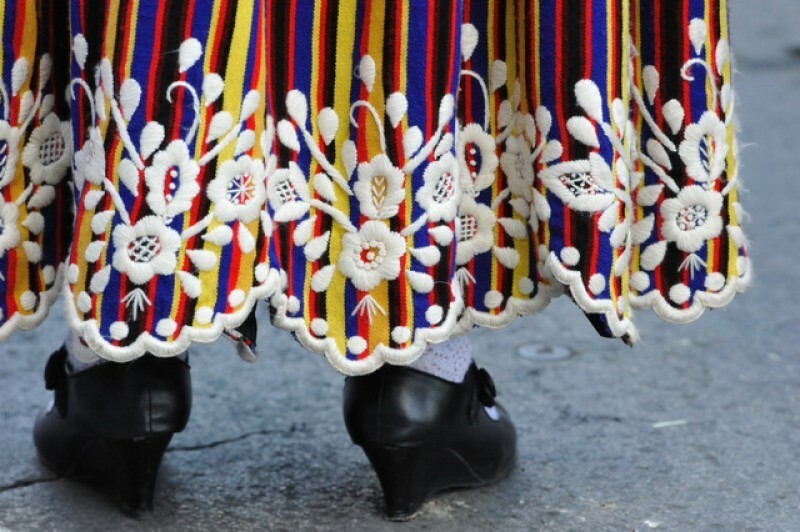 You´ll find various interpretations of these little rolls, some formed into little biscuits, others rolled into circles and threaded onto ribbons in bundles, each part of Murcia having it´s own version of this tradition. Money raised from their sale normally goes towards church funds, and you´ll find these little rolls on offer not only at church services and blessings of animals this weekend in return for a donation, but also on sale in baker's shops. Click to see a report written after visiting an artisan baker in Pozo de los Palos in the Cartagena municipality on the day hundreds of little rolls of San Antón were being baked. 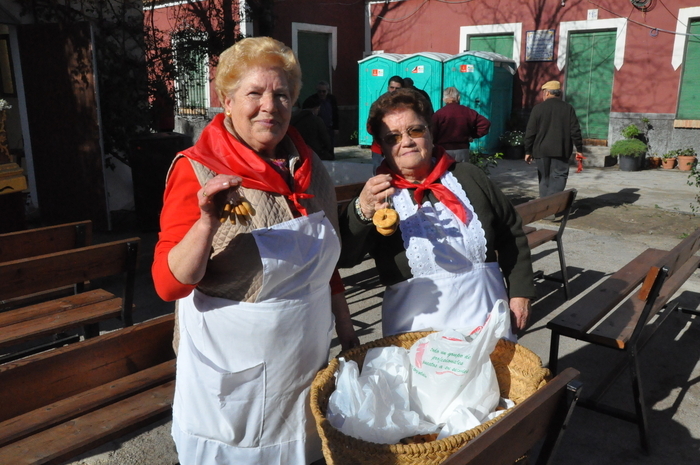 In Murcia City the "Panecillos de San Antón" are sold in a special booth set up outside the church of San Antón in the district which carries his name after they've been blessed, and in many bakeries and the local celebrations which take place in his honour, little bags of these hard breads, or ribbons with a few round rings of bread threaded onto them, can be purchased in exchange for a donation. Keep them for the year and they´ll bring luck, and prosperity. There are also many prize draws, or rifas, which include an animal, often a piglet, which refer back to the tempations experienced by the saint during the time he was shut away. He is said to have yearned for animal flesh, so of course, this being Murcia, the residents are only too happy to oblige by eating some on his behalf. There are events such as that in La Copa in Bullas with extensive barbeques as part of their traditional celebrations, and in Cartagena, down in the south, the dish of choice is grilled octopus, available from street bars set up in the district of San Antón for the duration of their local fiestas. BBQ's are regularly held for San Antón, and it's also common for part of the fiestas to include groups of locals heading out into the woods together to collect wood for the fires and BBQ's. 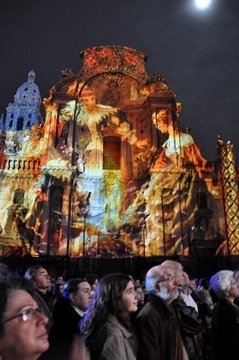 Specific events and programmes relating to the celebration of San Antón can be found in the Whats on section.